The owner of a construction companies in California was convicted of committing forced labor, according to a Monday press release from the United States Attorney's Office from the Northern District of California. Job Torres Hernandez, 38, was convicted on one count of "forced labor" and one count of "harboring illegal aliens for commercial advantage or private financial gain," according to the press release. Job Torres recruited workers from Mexico, who he forced to live in poor conditions and did not pay, the statement said. Undocumented immigrants, identified in court documents by their initials, testified at trial about the conditions. They said they were forced to work 24-hour shifts, lived in a commercial warehouse and a garage in Hayward and were restricted in using bathrooms and showers. A superseding indictment, filed in December, said Hernandez obtained the labor of his employees by "physical restraint and threats of force, threats of serious harm, means of abuse and threatened abuse of law and legal process and means of a scheme, plan and pattern intended to cause his employees to believe that if they did not perform such labor or services, they would suffer serious harm." Torres could be sentenced to 10 years in prison and a charge of $250,000 for harboring undocumented immigrants and 20 years and $250,000 for the forced labor count. He may also be instructed to pay restitution when he is sentenced. He will appear in court for sentencing on June 25, according to CBS San Francisco Bay Area. His attorney, Brian Getz, told Newsweek that the decision to detain Hernandez until his sentencing was "quite a setback." Hernandez, who had been free on bail, has five children and has been in the U.S. for 31 years, Getz said. Getz said that the defense counsel had not ruled out an appeal. "All options are open," he said. "Nothing's been decided yet." Getz expressed concern that the undocumented immigrants who testified at the trial were given Continued Presence. The Department of Homeland Security says Continued Presence is "a temporary immigration status provided to individuals identified by law enforcement as victims of human trafficking. This status allows victims of human trafficking to remain in the U.S. temporarily during the ongoing investigation into the human trafficking-related crimes committed against them." Government attorneys did not immediately respond when asked how commonly they provided Continued Presence to encourage testimony. "At some point when the undocumented workers were approached by government agents, they understood that if they cooperated with the government, they would be able to stay here despite their undocumented status, primarily because they would now become witnesses for the government," Getz told Newsweek. "It was apparent to me it resulted in embellished testimony about their living conditions and exaggerated claims of squalor, because that was the tune the government was playing. And it was obvious to me that would curry favor with the government...which I felt was not exactly fair." Getz also noted the large presence of immigrant labor in California, citing news reports about immigrants coming across the border. Pew reported that, as of 2014, unauthorized immigrants accounted for nine percent of California's work force. "To say that this guy had to capture and imprison and threaten undocumented workers to keep them here is a joke." Victor Narro, a professor at the University of California, Los Angeles, and immigrant worker expert, told Newsweek that granting Continued Presence contracts for undocumented immigrants who testify could "help fight against these types of labor trafficking cases." He called Hernandez's case "extreme" and said that less serious retaliation for complaints happen more frequently. "Undocumented workers do face retaliation when they complain about working hours [and] health and safety conditions," he said, noting that employers can leverage workers' immigration status as a way to make sure workers don't expose their grievances. 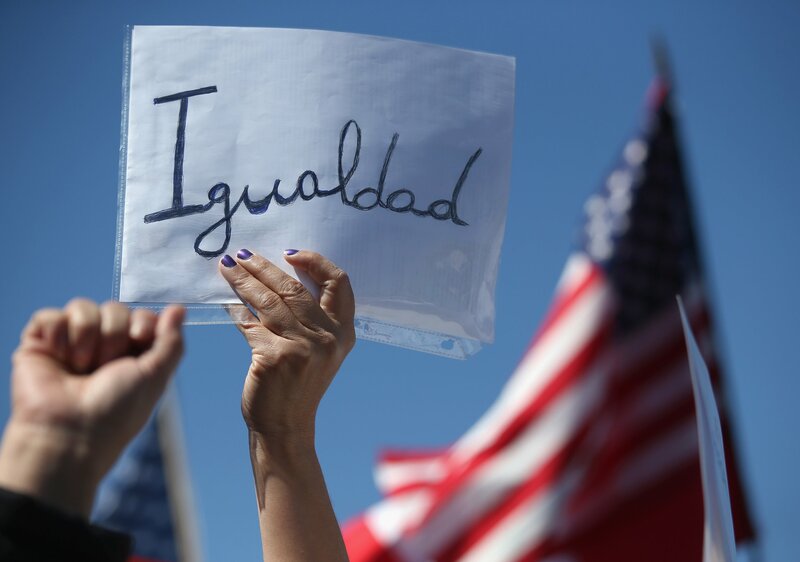 Narro praised legislation in California that protects the rights of undocumented laborers. The Economic Policy Institute has noted that, starting in 2013, the state implemented legislation to protect against retaliation. But Narro said that the vast majority of other states have not followed suit to protect the country's millions of undocumented workers. "State agencies need to have a role," he said, adding "you cannot write off the role of the federal government." Fox News Host Calls Out Trump's "Hypocrisy"